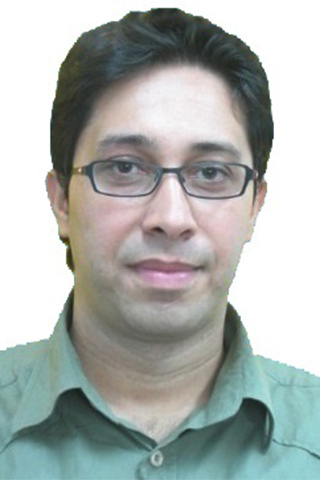 Dr. Javad Rezazadeh is a researcher in the School of Electrical and Data Engineering at UTS. He holds a PhD in Wireless Communications from University Technology Malaysia (UTM) in 2014. He received a Masters of Science and a Bachelor of Science Degrees in Software Engineering in 2008 and 2005 respectively. He was a recipient of the Academic Excellent Student Award for the top 1 postgraduate in the year 2014. Dr. Javad has achieved Best Paper Award in the IEEE international conference (InECCE-2011) and also Gold Medal in the 15th international Industrial Art and Technology Exhibition (INATEX-2013) in Malaysia. His research interests include localization Systems, Internet of Things (IoT), Smart Cities and Wireless Networks & Mobile Computing. IEEE Among the emerging concepts in the context of IoT, crowdsourcing and crowdsensing are known as two critical building blocks on the intersection point of things and humanbased techniques. Although contribution and involvement of people is a key factor in both crowdsensing and crowdsourcing systems which provides reliability and data quality, level of human contribution is what makes crowd-powered systems different. To scrutinize this difference it is considered that user intervention in crowd-based schemes can be either implicit or explicit. Since one of the most important applications of crowdsourcing and crowdsensing systems is providing location services in indoor environments, in this work we study the level of user contribution in available crowd-powered techniques and propose a classification for crowd-powered indoor localization solutions to clarify which crowds-based approach is utilized in each indoor localization solution because in many cases the distinction is not clear and often leads to misconception. Dependency on site survey process is considered as another distinction point in our proposed classification. Hence we consider indoor localization solutions with implicit user participation and latent mobile utilization as crowdsensing indoor localization systems. Respectively, indoor localization solutions with explicit user participation and manifest mobile utilization are classified as crowdsourcing indoor localization systems. © 2018, Springer Science+Business Media, LLC, part of Springer Nature. Internet of Things (IoT) is turning into an essential part of daily life, and numerous IoT-based scenarios will be seen in future of modern cities ranging from small indoor situations to huge outdoor environments. In this era, navigation continues to be a crucial element in both outdoor and indoor environments, and many solutions have been provided in both cases. On the other side, recent smart objects have produced a substantial amount of various data which demands sophisticated data mining solutions to cope with them. This paper presents a detailed review of previous studies on using data mining techniques in indoor navigation systems for the loT scenarios. We aim to understand what type of navigation problems exist in different IoT scenarios with a focus on indoor environments and later on we investigate how data mining solutions can provide solutions on those challenges. Indoor positioning and location estimation inside the buildings is still challenging in the Internet of Things platform. However, the GPS signals could successfully solve the outdoor localization problem. A recently introduced RSS-based device, named iBeacon, paves the way to estimate the users location inside the buildings. Due to the complexity of indoor RF environments, the positioning accuracy is affected by the placement of the iBeacons. Inadvertently, the concept of iBeacon placement for improving the accuracy remains unattended by the current research. This paper provides a comprehensive analysis and experiments on the importance of iBeacon placement, and factors impacting the beacon signal quality. Moreover, we propose a novel beacon placement strategy, Crystal-shape iBeacon Placement. As another contribution, a customized application for android is developed which is used for recording and analyzing the iBeacon signals. Our proposed placement strategy could achieve 21.7% higher precision than the existing normal iBeacon placement. In many wireless sensor network applications, such as warning systems or healthcare services, it is necessary to update the captured data with location information. A promising solution for statically deployed sensors is to benefit from mobile beacon-assisted localization. The main challenge is to design and develop an optimum path planning mechanism for a mobile beacon to decrease the required time for determining location, increase the accuracy of the estimated position, and increase the coverage. In this paper, we propose a novel superior path planning mechanism called Z-curve. Our proposed trajectory can successfully localize all deployed sensors with high precision and the shortest required time for localization. We also introduce critical metrics, including the ineffective position rate for further evaluation of mobile beacon trajectories. In addition, we consider an accurate and reliable channel model, which helps to provide more realistic evaluation. Z-curve is compared with five existing path planning schemes based on three different localization techniques such as weighted centroid localization and trilateration with time priority and accuracy priority. Furthermore, the performance of the Z-curve is evaluated at the presence of obstacles and Z-curve obstacle-handling trajectory is proposed to mitigate the obstacle problem on localization. Simulation results show the advantages of our proposed path planning scheme over the existing schemes. © 2001-2012 IEEE. © 2018 IEEE. Localization is one important part of Internet of Things(IoT) where the Location of Everything (LoE) system plays a important role to improve most services in IoT area. On the other hand, data mining techniques are essential analyses when we have big data from IoT platforms. Indeed, integration of location-based methods and data mining analysis process can make a smart system service for IoT scenarios and applications. For this purpose, we design a smart shopping platform including four components, location of everything component, data collection component, data filtering/analysing component and data mining component. Then a novel accurate localization scheme named 'location orbital' is developed that estimates the current location of mobile objects (users or everything) based on both current and the previous locations. Finally, an implementation of the experiment in a shopping mall is conducted to practically examine performance evaluation of the location-based scheme. The experimental results show that the proposed scheme could achieve significant higher precision than other localization techniques.